NHS nurse and mother-of-two, 30, hanged herself after being ‘sworn at, bullied and given the worst shifts by colleagues at mental health hospital’. An NHS nurse hanged herself after being bullied by colleagues, an inquest heard. Mother-of-two Rhian Collins, 30, was allegedly sworn at and picked on by fellow staff at a mental health hospital where she worked. She told her family her colleagues made her life ‘very difficult’ and would given her the worst night shifts. At an inquest into her death, investigating officer Sergeant Nia Lambley said: ‘She was having issues at work. She was being sworn at, bullied and believed she was continually given the worst shifts on the ward. The family told police Miss Collins was struggling to cope with the ‘stress and unsociable hours’ and was looking to get a new job. 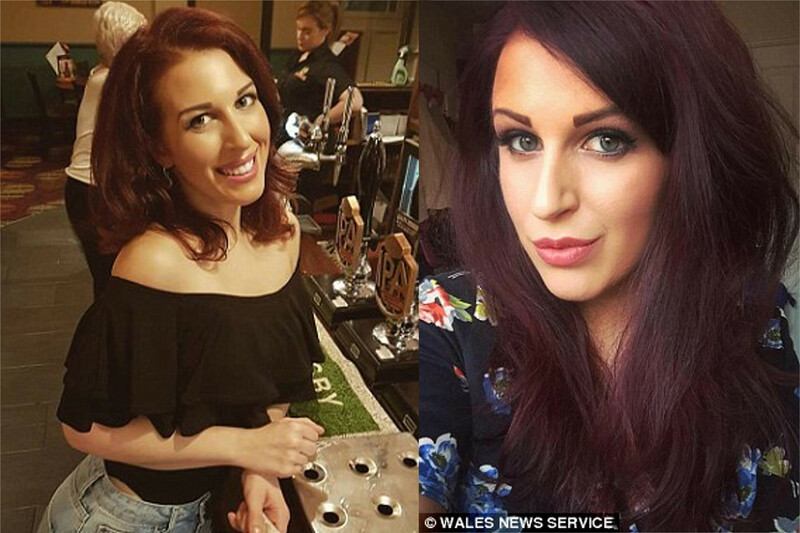 She worked at Cefn Coed Hospital in Swansea, South Wales, which specialises in mental health care and has 193 beds to cater for adult and elderly patients. The inquest heard family members said Miss Collins appeared ‘run down and exhausted’ just a month before she took her own life in March this year. As well as going to the gym she had also started taking slimming pills and was becoming distant from her family. The hearing was told Miss Collins had spoken about ‘walking into the sea’ – but felt guilty about abandoning her shifts at the hospital and her two children. Fiancee David Reed said in a statement that Miss Collins had ‘threatened suicide many times’ but these were dismissed as ‘throw away comments after arguments’. The alarm was raised when Miss Collins didn’t answer the door or phone – Mr Reed had come to drop off their two children. After trying 30 times to call his fiance he called the police and a locksmith who forced entry into her house on Dunvant Road, Swansea. Acting senior coroner Colin Phillips recorded a conclusion that her death was intentional suicide. He said: ‘There was no third-party involvement and no suspicious circumstances. Mr Reed left an emotional message on Facebook saying his ‘world had been turned upside down’. Help us to help those who were never scared to serve you in times of need. You can donate to LOD by visiting Charity Check here.